Beth Orton in Montreal or Quebec City? Inform me about the next events for Beth Orton. Enroll yourself to our priority waiting list for Beth Orton to be alerted when new tickets are available. Filling this form doesn't engage you to any purchase. Beth Orton will be performing at La Tulipe, in Montreal, on August 11th, 2010. 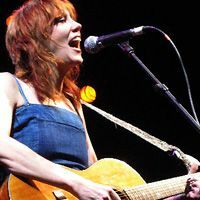 Known for her intriguing mix of folk music and electronic elements, Beth Orton slowly built a cult following in the late 90s and early 2000s with albums such as Trailer Park (1996), Central Reservation (1999) and Daybreaker (2002). Her latest album Comfort of Strangers, released in 2006, was well received by critics and her following.